October 8, 2018 at 12:34a.m. Bandits besieged the car of three men from Johnston Limestone Quarry in Hillsville, Pa., resulting in a shootout that left one bandit and one young quarry worker dead. One of the surviving victims fled the scene back to town, where he raised a posse of more than a hundred men and proceeded to hunt down one of the bandits and recover $9,700 of the $17,000 stolen from the quarry workers. The bandit, Moyek Zorko, was found hiding at the top of a tree and was shot down by the posse before he could draw his gun. Lowellville today is known more for excellent Italian food, car shows and the Baby Doll Dance, but the village at the turn of the 20th century was not lacking in excitement, for better or worse. Torella, born and raised in Lowellville but now living in Maryland, began working on the book in 2013 as a birthday gift for her father, David Torella. The book in its current form — available on Amazon and at Ross Market in Lowellville — is an expanded version of the book she made for her father. 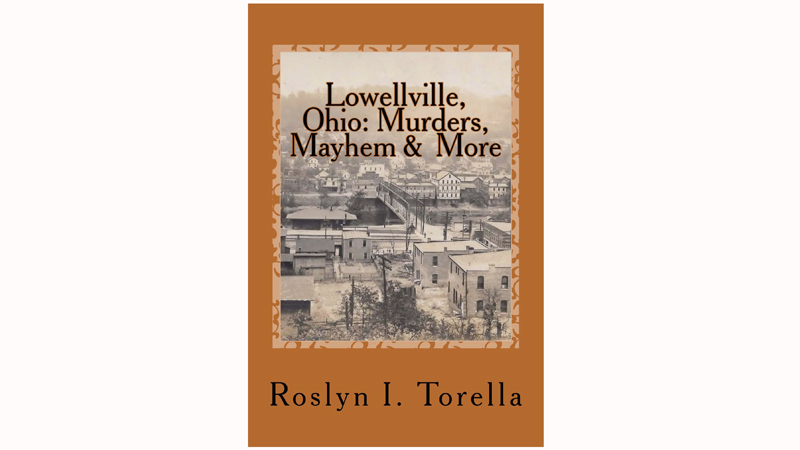 One of Torella’s favorite stories in the book — aside from the Johnston Quarry shootout — documented the ill-fated 1904 Lowellville Street Fair, during which Lowellville merchants and the general populace banded together to throw a huge festival on Water Street. Torella will be in Lowellville today from 5 to 7 p.m. at the car show on Water Street for a book signing. In case of rain, she’ll sign books on the second floor of City Hall. One last story: In 1910, a freight crew found a man next to a Baltimore and Ohio rail track holding his legs, which had been severed below the knees. The man asked his rescuers for a cigarette and complained about going so long without a smoke while explaining that he’d fallen off a train while stealing a ride. He picked up his legs and crawled a quarter mile before he stopped and “prayed for the light.” He didn’t survive the incident. January 18, 2014 12:08 a.m.
July 19, 2014 12:05 a.m.
April 7, 2016 9:54 a.m.